How to unb. . . The common deterrents to success are stress, anxiety, worry, and overthinking. While one can’t completely do away with them, what we can do is dealing effectively with the triggers to ensure we create a life full of bliss. Stress is highly personalized and may vary even in identical situations for varied reasons. A recent survey on stress highlights that about 47% of it is contributed by the workload, 27% by relationships with people, 20% by personal lives and multitasking and about 6% by future uncertainties. People have become so accustomed to stress that it appears normal now. It has become a part of life. Headaches, migraine, backache, insomnia, restlessness, loss of appetite, increased appetite, lethargy, panic, etc. have become the “new normal.” It is time to resurrect – for our sake, for the sake of our children, for the sake of life! Stress has been defined as a state of mental or emotional strain resulting from adverse and/or demanding circumstances. As we begin our life, from the age of 1 to 8 years, there are a lot of impressions that we form in our mind. Some of them are comforting while some of them are confusing as our young brains adapt to our environment. As we grow older, these imprints hard wire themselves in our brain, which means that they become the base for a lot of our future experiences/reactions/responses. You would be surprised to know how many of our current responses stem from our baseline memories. Ever wondered why you hate the smell of certain foods, certain flowers or certain surroundings? You don’t have any logic behind your discomfort but it leaves you feeling uncomfortable/nervous/anxious. Images and scents play a powerful role in creating memories in our mind, which can trigger both positive and negative signals in our brain. How does all this information help us? It helps to serve the idea that a lot of stress is trigger based. That means that a certain combination of situations works together to create subconscious memory that makes us uneasy. It helps us to understand that stress is not about YOU. You are not directly responsible for the way you behave in a stressful way. The deeper cause or the root cause is something known as a ‘trigger.’ As you understand the triggers of your life, you will be able to tackle them with cognizance. Apart from this, there are many techniques that help us to be able to deal with our stressful factors. Do you or I need this in our lives? Absolutely! Why, you may ask. Isn’t stress a given of anyone’s life? Isn’t it something to be taken with a pinch of salt? Just be stoic in the face of the storm and it, too, shall pass? Well, this doesn’t seem to be the case anymore. We live in a complex, connected, and advanced setup of society where we have more gadgets and purchasing power, we have less communication with people around us. We may feel we are equipped with the power of the Web to get all the help we can but we forget that our connection to our own self is quietly slipping away. Mental anxiety is at an all-time high. The British Royal Family has started to support patronages to associations, which work with Mental Health awareness and Stress Among Youth collaterals. Statistics for 2019 suggest that there is a suicide every 40 seconds and this doesn’t include the data for suicide attempts. Celebrities like Robin Williams, Keith Flint (The Prodigy) and Kate Spade (Fashion Designer) suggest that having access to doctors, gadgets, retail therapies is not enough to combat the insidious growth of stress. It is something we must recognize on our own and delve deep into, to bring real change on how we unburden our minds, our bodies, and our health from the abomination of stress. Like I mentioned before; in the beginning; stress is a highly personalized situation. What triggers you may not do the same for me and vice versa. Some people throw mobile phones under duress while others recede into the shadows of their mind. Some may procrastinate while others become promiscuous. Truly, we, as humans, can show a variety of distressful signals while pretending that we are coping well on the exterior. Whether we like it or not, life is not simple anymore. We live in a complex web of social lives, family commitments, official deadlines, travel plans, and personal milestones. Achievers are getting younger while we are simply aging. There is no doubt that these aspects play a hidden role in stressing us. 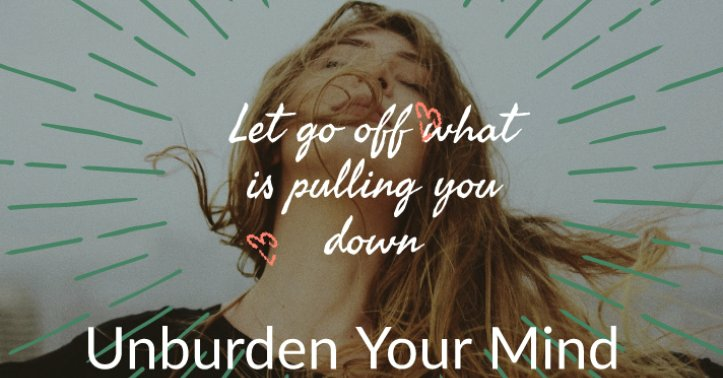 While there is no escaping our daily grind, what you do owe yourself is learning how to unburden what has collected in your subconscious minds and conscious habits. Letting go of stress is simply postponing it to a future date. And how does one let go? Stress is such a potent yet intangible part of our existence that many people simply do not understand how to let go. It is important to recognize, tackle, resolve, and then learn how to let go. It is vital to realize your self-importance. Knowing that there are deep-level techniques that combine actualization and cognizance pattern recognition to help absolve us of our guilty habit of hiding stress, is one of the first steps you can take. Believe me, when I say this, it is not a case of the mouse closing its eyes and pretending that out of sight is out of danger. Stress is hidden, it is closeted, and it is insidious. In fact, we collect years of burden, guilt, trauma, and shame. It hurts our minds, our physical organs, and our responses. We do all of this without realizing that 2 became 4, which becomes 16 and in no times, 16 becomes 256. Before we exponentially damage our psyches and healthy bodies, we truly owe it to ourselves to take encompassing steps to ensure that we are better equipped to understand and tackle at a root cause, factors which cause us duress. Only then will we be liberated to enjoy a higher quality of life, to experience a deep joy that life is and to unleash our rightful human potential.